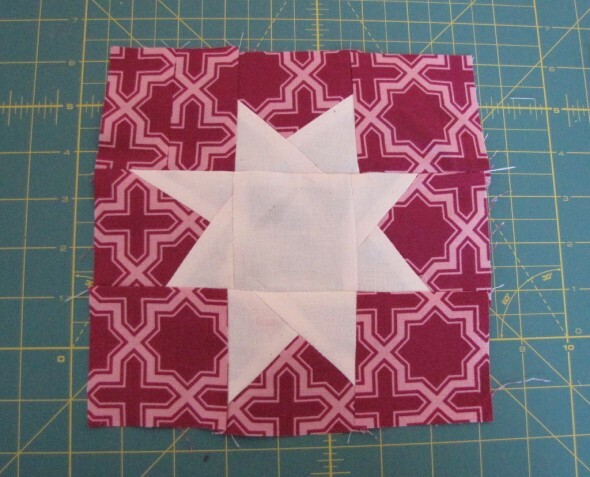 Other Pretty in Pink posts: April Wonky Stars, May Nine Patches With Crosses, June Wonky Log Cabins, July Tic Tac Toe, August Log Cabins, September Strings, Oh, For Crying Out Loud. Other Bee Improvisational posts: May Forest of Trees, June Framed Blocks, Christmas in July (my month), August Make Life, September Alphabet, Oh, For Crying Out Loud. I am finally caught up! 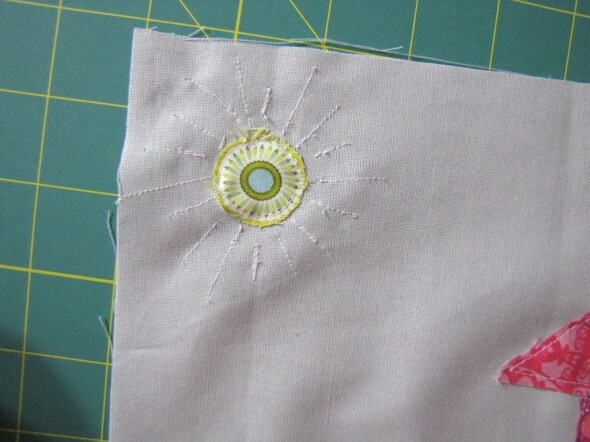 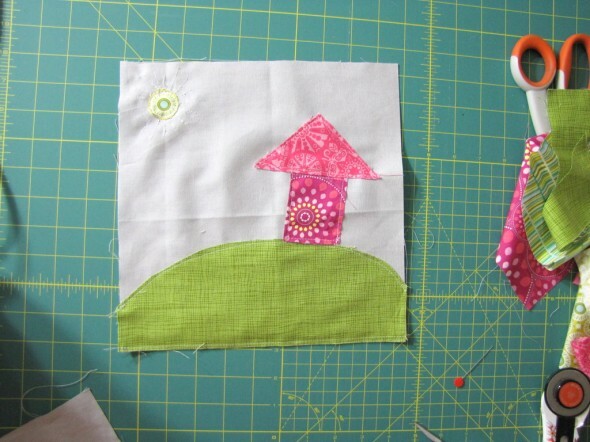 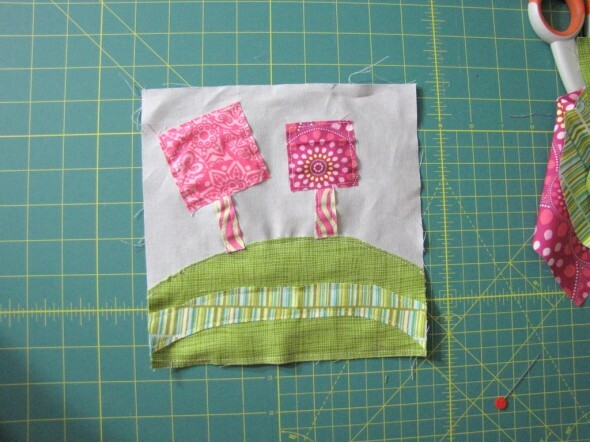 My November blocks for the Pretty in Pink bee, with a closeup of the sun I stitched. Amy asked for creative houses and trees, so I appliqued these. 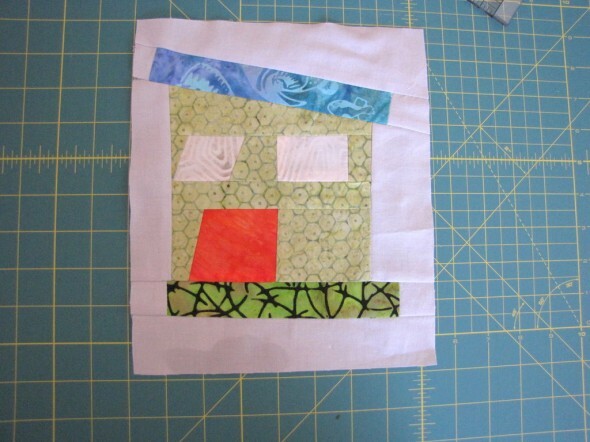 Another house, this one for Elaine’s November’s Bee Improvisational, using batiks. 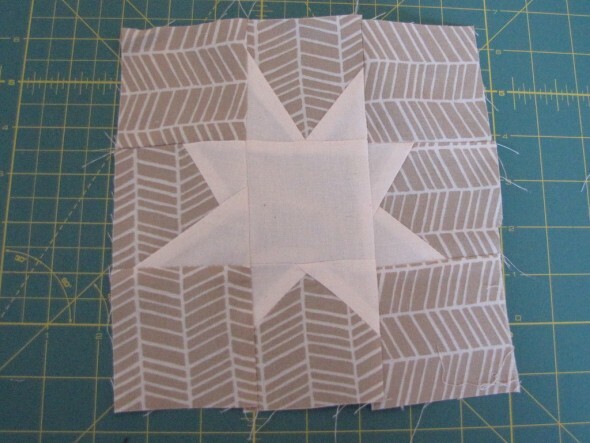 October and November blocks are in the mail! 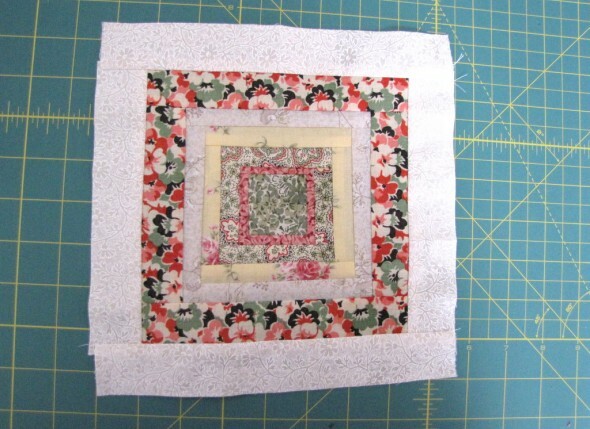 Also, I have finished December! Wonky stars for Sylvia’s month in the Pretty in Pink bee. I love wonky stars! 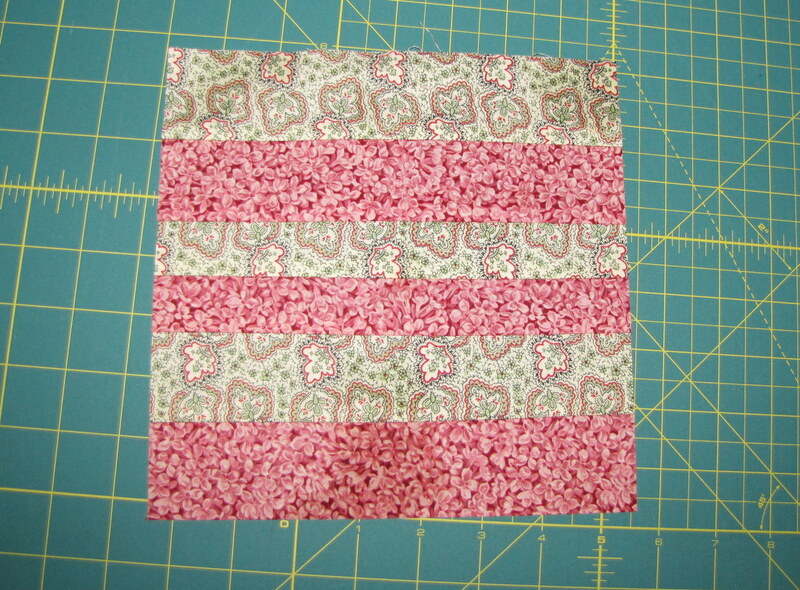 Traditional blocks for Deb’s sampler quilt, her request for Bee Improvisational.